Yes, we are a playful bunch who are easily entertained. 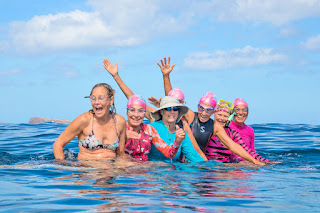 I love how much the Maui Pink Cap swimmers laugh every single week, and yesterday was no exception. Click HERE for a few more photos from yesterday morning's ocean swim.